The Soviet Premier Nikita Khrushchev orders the removal of the Soviet missiles from Cuba, ending the Cuban missile crisis. As the Cuban missile crisis unfolded in October 1962, President John F Kennedy found himself wondering why Nikita Khrushchev would gamble with putting nuclear missiles into Cuba. The Soviet leader felt he had justification enough. There were American missiles in Turkey and Italy; US bases dotted the globe; and Castro was a friend and ally under threat from the US. It was a gamble, and most observers argue that Khrushchev lost. In his memoirs, Khrushchev claims that the outcome of the missile crisis was a “triumph of Soviet foreign policy and a personal triumph”, but few, even on the Soviet side, have seen it that way. Khrushchev’s then foreign minister, the dour Andrei Gromyko, in his scanty memoir account of the Cuban events praises Kennedy. While the crisis is historically the “Cuban” crisis, Cuba was perhaps a subsidiary consideration for Khrushchev, as Castro later noted – ruefully – in conversation with Soviet emissary Anastas Mikoyan. 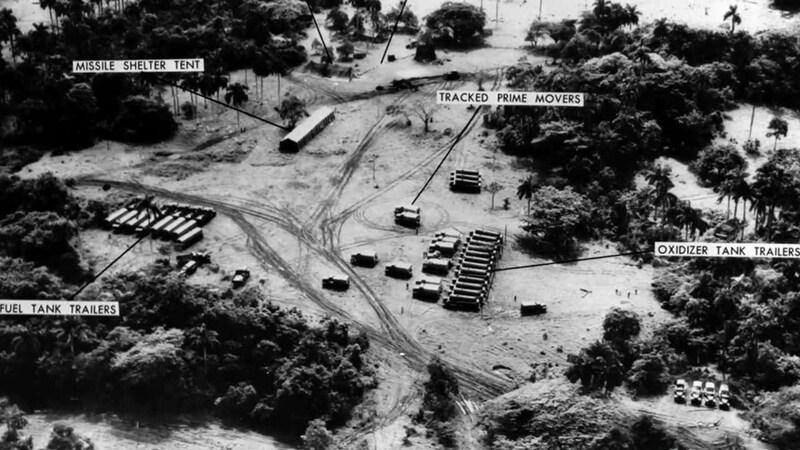 This entry was posted in Uncategorized and tagged 1962, 28 October, Cuban missile crisis by admin. Bookmark the permalink.